We found some nice morels while walking in the woods this afternoon. Morels found growing in the woods. Morels are common in Wisconsin. They prefer the decomposed leaves and grass found near the base of old oak and ash trees. Last year we didn’t find a single morel, probably due to the dry conditions. The cool wet weather this year has favored the growth of many types of mushrooms. 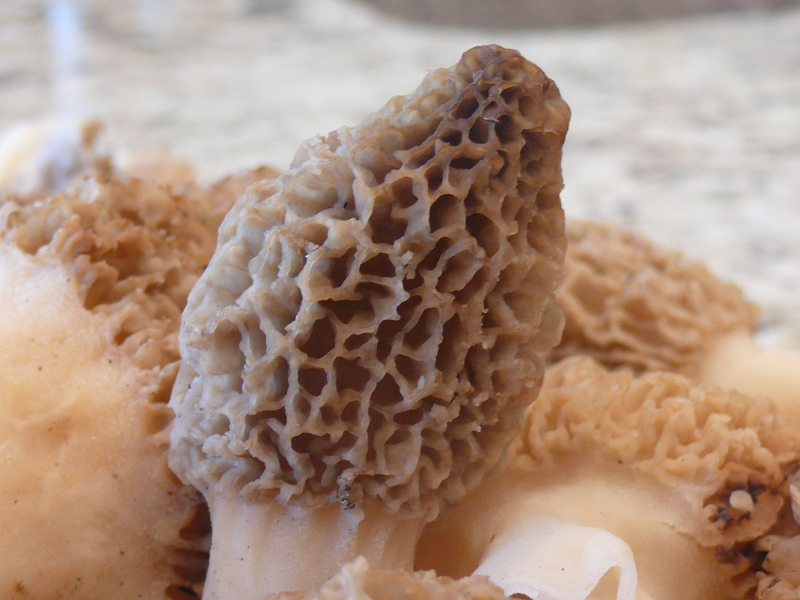 Morels have a distinctive appearance, unlike any other mushroom. 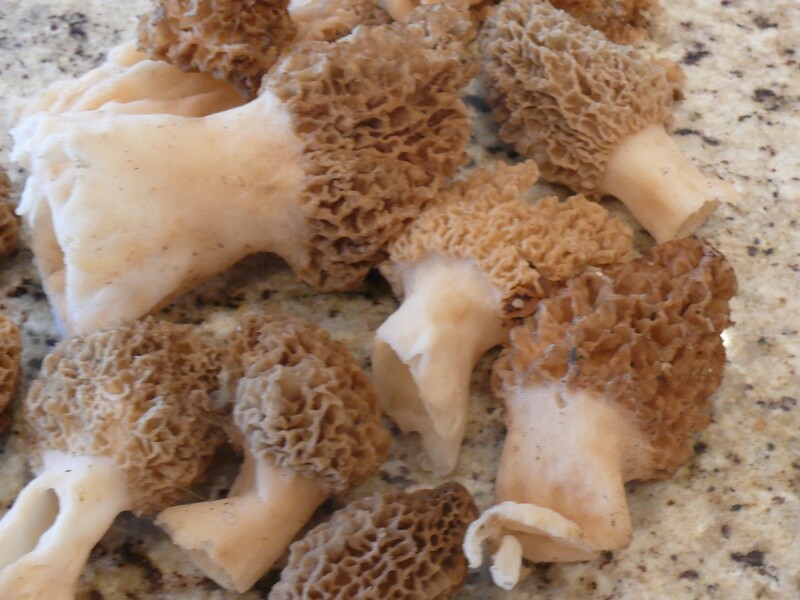 Unlike the white button mushrooms found in the grocery store, morels have a pronounced earthy taste and aroma. Wash the mushrooms to remove any dirt. Dry thoroughly. When hot, add the mushrooms. Sautee gently until tender. Serve immediately. Salt to taste. Thanks to our friend Anastasia for the delicious home made butter!